Looking to travel in real style? 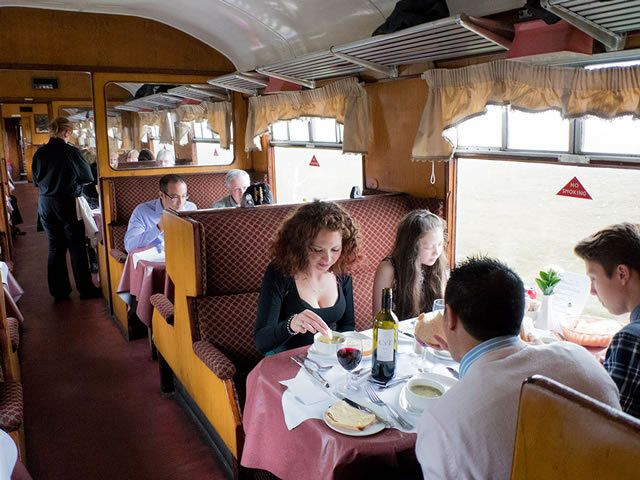 Come aboard our exclusive Officer’s Saloon for an extra special vintage dining train journey. Our catering team will work with you to create the Menu that you want for your visit. The Officer’s Saloon can hold up to 16 people comfortably. Basic hire of the Saloon, without food, costs £500. You may then select a menu of preference costed at set rates. 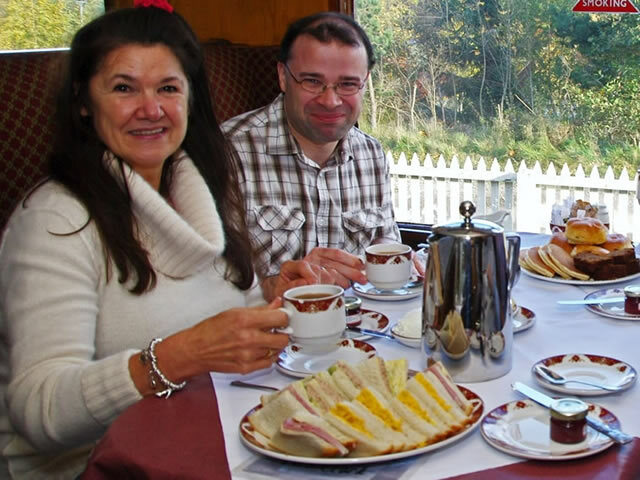 Hiring of the Officer’s Saloon can coincide with one of our timetabled trains, or if you prefer, you can hire a private steam train along with the Officer’s Saloon, to travel at your own agreed preferred time. 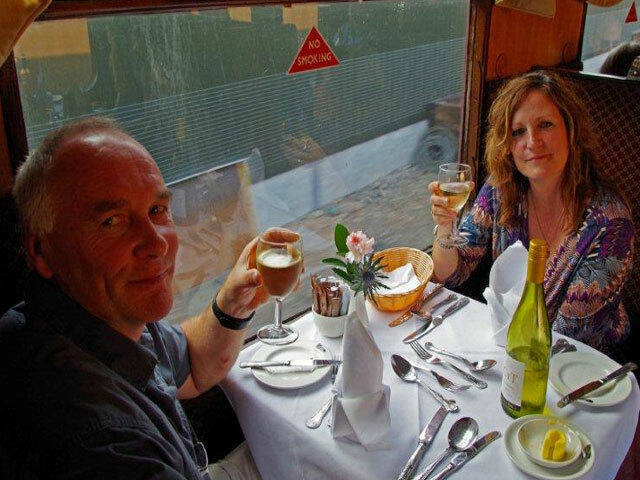 Private steam train hire is from £2250. For any further queries, please call our office on 01479 810725 or email enquiries@strathspeyrailway.co.uk with your requirements and we will do our best to arrange something with you. 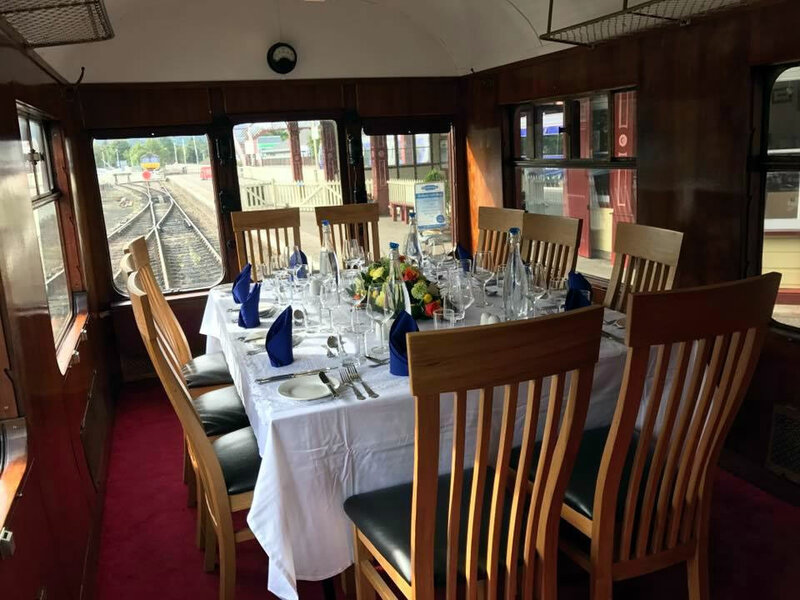 For that extra special occasion, you and your guests can wine and dine in The Strathspey Railway’s exclusive Officer’s Saloon carriage. You could enjoy a full three course meal in our beautifully maintained dining area of the Saloon, before moving through to the other side for a more intimate setting to enjoy some of the local area’s finest distilled malts and brewed ales. Built in 1944, this special carriage was originally the district engineers personal saloon and was used for line inspections. Many of the original features of the Officer’s Saloon remain on board, with authentic pieces maintained in the Saloon today including original umbrella stands and coat hangers which really capture the vintage spirit of this carriage. Your dedicated guard, personal chef and waiting staff will accompany you – ensuring you and your guests’ every need is satisfied.